Princedom comes with a lot of perks. 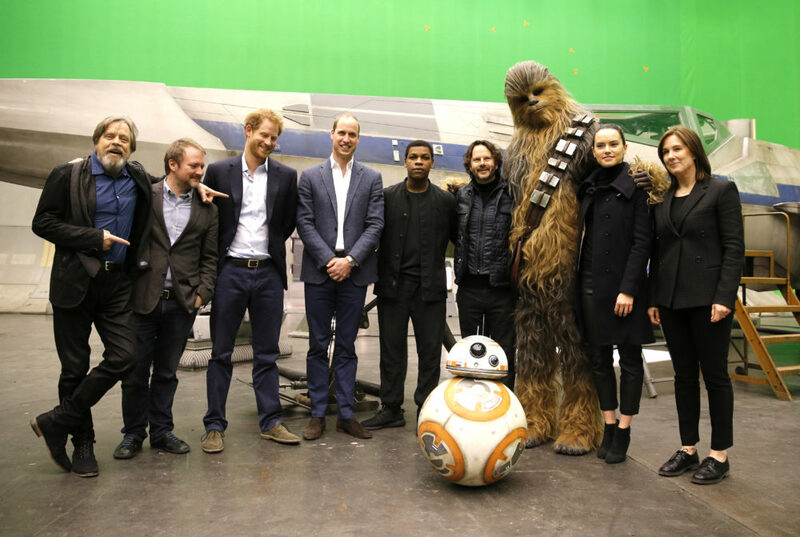 In Prince William and Prince Harry’s case, those perks include hanging out with the cast of the latest Star Wars movie just because they can. (They were even supposed to make sneaky cameos as Stormtroopers, but were reportedly too tall for the gig). And during that visit to the set, star Mark Hamill apparently tried to get in on prince perks, too, Hamill recently told the hosts of The View, by convincing William and Harry that his character Luke Skywalker should technically be considered royalty, too. And we’ve gotta say, the man makes a solid argument. Hamill was a guest on the ABC talk show on Tuesday, March 27th, and spilled the deets on Wills and Groom-to-Be Harry’s time on Last Jedi set. Hamill said he’d been trying to convince late co-star Carrie Fisher that because she, his on-screen sister, was a princess (turned general, obviously, because Leia is a total badass), and the rest of their lineage was also a big deal in the Star Wars universe, Luke should get his own title. "We finally met the princes on set,” Hamill said, according to Entertainment Weekly. “You know William and Harry. You’re all lined up and you’re told how to address them formally, but when I got my chance to talk to them, I said ‘Your highness, I would like to make a case for myself. My father was Lord Vader, my mother was Queen Amidala, my sister was Princess Leia — doesn’t that make me royalty?" Harry, it seems, wasn’t completely convinced. William, on the other hand, could see what Hamill was saying. ““Absolutely, I don’t say why not,” Hamill said William responded. If you get the thumbs up from the (probably) future king, that means you’re totally in the prince club, right? His lightsaber could even double as his sceptor. At the very least, Mark Hamill should score a courtesy invite to the royal wedding next month. A Jedi robe totally counts as black tie, right? Well played, Prince Skywalker. Well played.